Zulu is the most widely spoken native language in South Africa (24% of the population), and it is understood by over 50% of its population. Around 10 million people speak Zulu in South Africa. Since the demise of apartheid in 1994, Zulu has been enjoying a marked revival, and has become one of the 11 official languages of South Africa. What is unique about translating Zulu? Zulu is part of the Bantu language family, specifically categorized as a Nguni language. All of the Nguni languages are mutually intelligible, but are not dialects of the same language. 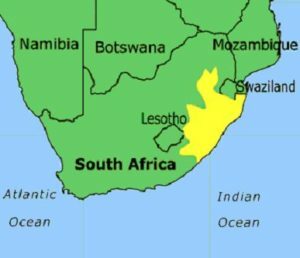 There are four main Zulu dialects based on the areas where they are spoken: KwaZulu-Natal Zulu in the central area, Transvaal Zulu to the north, Qwabe along the eastern coast, and Cele along the western coast. Verbs and verb conjugation can get very complicated, as there are 16 different grammatical genders in Zulu, and many words that qualify the noun in a phrase have to agree in terms of the gender of the noun. Zulu follows a subject-verb-object word order. The unique aspects of the Zulu language make it imperative that Zulu translation are performed by a skilled translator that can ensure your translations are not only accurate, but culturally relevant to the specific market you intent to target. At Alpha Omega Translations we have Zulu translators who work exclusively with their native dialect of the language to ensure your translations support your business goals. Get started with Zulu translation services today!